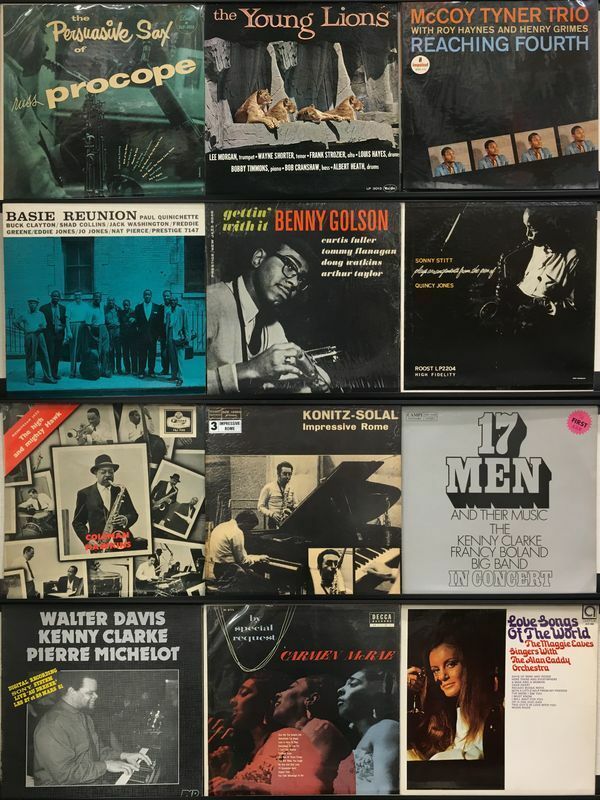 ●BENNY GOLSON/GETTING' WITH IT【US盤/MONO】/NEW JAZZ/NJLP8248/B/US盤/MONO/紫ﾗﾍﾞﾙ/DGなし/RVG/ｺｰﾃｨﾝｸﾞCvr./ sold out!! ●CARMEN MCRAE/BY SPECIAL REQUEST【ｵﾘｼﾞﾅﾙ/MONO/状態良好】/DECCA/DL8173/B+/ｵﾘｼﾞﾅﾙ/MONO/黒銀ﾗﾍﾞﾙ/DG/FLAT/状態良好!/ sold out!! ●COLEMAN HAWKINS/HIGH & MIGHTY HAWK【ｵﾘｼﾞﾅﾙ/※但し白枠ﾛｺﾞｼﾞｬｹ/MONO】/FELSTED(UK)/FAJ7005/B+/ｵﾘｼﾞﾅﾙ/※但し白枠ﾛｺﾞｼﾞｬｹ/MONO/UK盤/紫ﾗﾍﾞﾙ/DG/状態良好!/ sold out!! ●KENNY CLARKE-FRANCY BOLAND/17 MEN【ｵﾘｼﾞﾅﾙ/STEREO】/CAMPI(ITALY)/SJG12004/B+/ｵﾘｼﾞﾅﾙ/STEREO/ｲﾀﾘｱ盤/黒銀DG/ｺｰﾃｨﾝｸﾞcvr./状態概ね良好!/ sold out!! 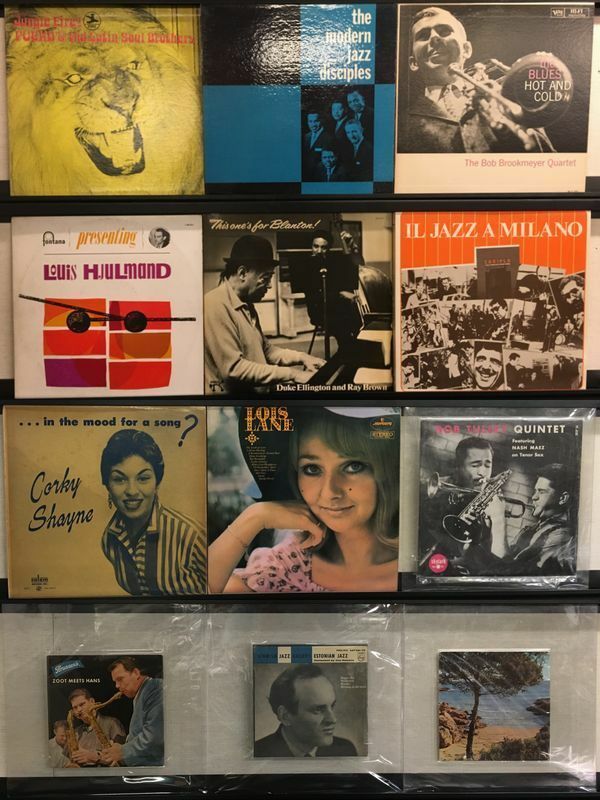 ●McCOY TYNER/REACHING FOUTH【ｵﾘｼﾞﾅﾙ/MONO/概ね状態良好】/IMPULSE/A33/B+/ｵﾘｼﾞﾅﾙ/MONO/艶ｵﾚﾝｼﾞﾗﾍﾞﾙ/RVG/ｺｰﾃｨﾝｸﾞcvr./概ね状態良好! !/ sold out!! ●MILES DAVIS/ROUND ABOUT MIDNIGHT【ｵﾘｼﾞﾅﾙ/MONO】/COLUMBIA/CL949/B+/ｵﾘｼﾞﾅﾙ/MONO/6EYE/DG/MAT1A-1A/ｼﾞｬｹ傷み/盤質良好!/ sold out!! ●PHIL WOODS / BIRD FEATHERS / PRESTIGE(NEW JAZZ)/ PRLP8204 / 盤質： B/ｾｶﾝﾄﾞﾌﾟﾚｽ/紫/DG/RVG/ｼﾞｬｹ傷み/ sold out!! ●PUCHO & THE LATIN SOUL BROTHERS/JUNGLE FIRE!【ｵﾘｼﾞﾅﾙ/STEREO】/PRESTIGE/PRST7765/B/ｵﾘｼﾞﾅﾙ/STEREO/丸紺/VANGELDER/底抜け/盤擦れ/JAZZ FUNK傑作!/ sold out!! ●RUSS PROCOPE/PERSUASIVE SAX OF【ｵﾘｼﾞﾅﾙ/MONO/状態良好】/DOT/DLP3010/B+/ｵﾘｼﾞﾅﾙ/MONO/ﾏﾙｰﾝ/DG/状態良好! !/ sold out!! ●WALTER DAVIS/LIVE AU DREHER【ｵﾘｼﾞﾅﾙ/STEREO】/NIGHT & DAY(FRANCE)/NAD1004/B+/ｵﾘｼﾞﾅﾙ/STEREO/ﾌﾗﾝｽ盤/黒ﾗﾍﾞﾙ/ｼﾞｬｹ背傷み/盤質良好!/ sold out!! 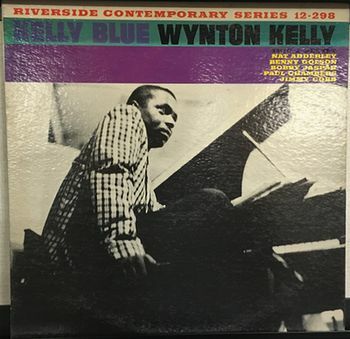 ●WYNTON KELLY/KELLY BLUE【ｵﾘｼﾞﾅﾙ/MONO】/RIVERSIDE/RLP12298/B/ｵﾘｼﾞﾅﾙ/MONO/青小ﾗﾍﾞﾙ/DG/553Wｼﾞｬｹ傷み/薄めの盤擦れありますが音には影響ございません!/ sold out!! ●KARIN KROG/SOME OTHER SPRING/SLPS1407/盤質：B/オリジナル盤/赤/内ﾐｿﾞ/ sold out!! ●TAFT JORDAN/MOOD INGIGO!! !/MVLP21/盤質：B/オリジナル盤/緑/太DG/RVG/ｼﾞｬｹ傷み/ sold out! !